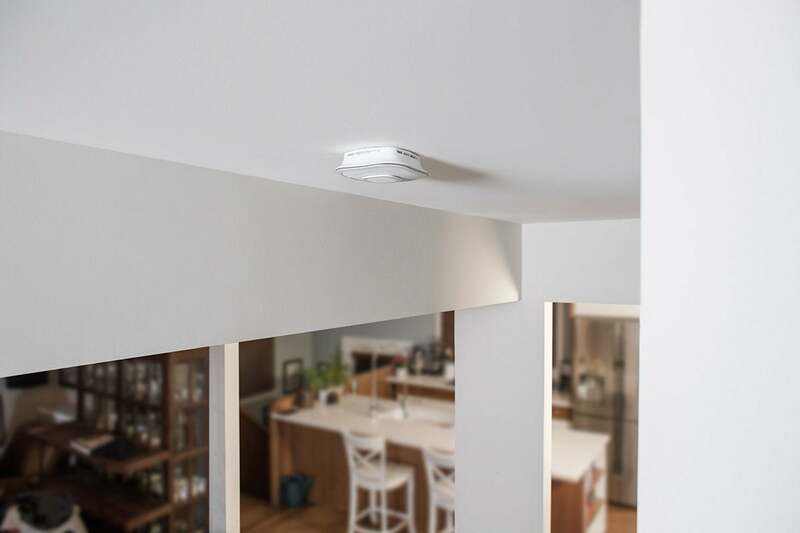 The company best known for smoke alarms has some interesting smart home tech coming in 2019. Embed Amazon’s Alexa in a smoke/carbon-monoxide detector? The concept might sound strange at first, but trust me, it’s a great idea well executed in the First Alert Onelink Safe & Sound. Think about it: You have a smoke detector in every room, and each one contains a loudspeaker, optimally mounted on the ceiling or high up on the wall. Add a mic, a Wi-Fi connection, and a digital assistant, and instead of behaving like a lifeless barnacle unless smoke or carbon monoxide is present in the room, that device can play music and games, retrieve news and information, control your smart home, and do all the other great things an Alexa-powered smart speaker can do. 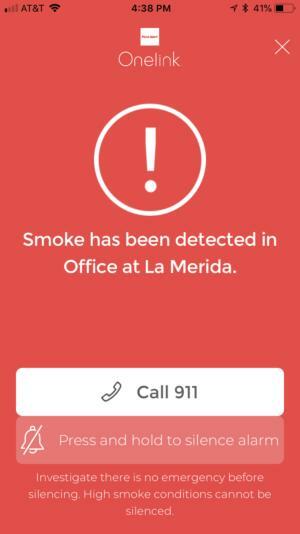 Disabling the alarm when smoke is detected means holding down a button within the app. The Onelink Safe & Sound can also be used as a standard Bluetooth speaker, giving you additional flexibility, especially if you’re not yet onboard the Alexa train. And First Alert says support for Apple’s AirPlay 2 is coming later this year. If you’ve built your smart home around Google Assistant, First Alert is planning to ship a different model that’s based on Google’s technology later this year. While testing responsiveness to smoke and carbon monoxide is always difficult to do with precision, in my experiments the Onelink Safe & Sound did feel slower to respond to the presence of smoke, and it took more of it to set off the alarm. Once it does respond, the alarm is ear-piercingly loud (it’s equipped with an 85dB siren), and in testing it correctly sent push alerts to my phone almost immediately. The problem? By default, the notification popped up and quickly disappeared. If you install the Onelink app—and you should to get the most use out of this product—be sure you set notifications to “persistent” instead of “temporary,” so you don’t overlook the fact that your house is burning down. The Safe & Sound is on the large size, but it isn’t terribly out of line when compared to other smart smoke/CO alarms. The app itself is extremely basic, giving you limited control over the unit’s settings, including the ability to turn on the Bluetooth connection, turn off the Alexa microphone, or tweak the color of the lighted ring found on the center of the unit’s face. This ring is color-tunable, but it can’t cycle through its color palette, and while it can’t be set to turn on only at night (like the Nest Protect’s nightlight), it can be set to automatically adjust its brightness during the day. The Safe & Sound is available only as a hardwired, AC-powered unit (with a 10-year lithium backup battery), and while I found it a bit difficult to wedge into its mounting bracket, it installed simply and without incident. If your home is set up with smoke detectors wired in series, you can install multiple Onelinks so they’ll respond to problems in unison. In addition to Alexa, the Safe & Sound also supports Apple’s HomeKit, which modestly speeds up app setup if you have a HomeKit-capable hub. At $250, the Onelink Safe & Sound is by far the most expensive smoke detector on the market, but the Alexa, Bluetooth speaker, and HomeKit features add real value that, for the right user, might justify the price tag.